A great idea if you’d like to improve the security of your home. Lights that come on when people get near mean burglars are more likely to stay away and this will keep your home and garden safer. Keep your property protected and feel safe when you arrive home late at night with our new 10 watt LED Flood Light with PIR sensor. This LED Flood Light features a PIR sensor which can detect motion and turn on the main Flood Light. 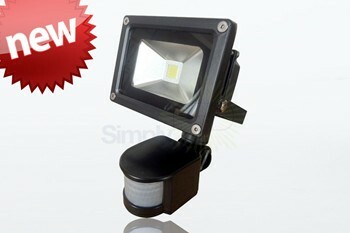 The bright, clear light output given is perfect for dark evenings or when you arrive home late. This LED Flood Light turns on as soon as motion is detected and this in turn will help you to save even more energy as the light will only be illuminated when needed! Being IP65 rated, this product is suitable for use outdoors in all weather conditions. The bright light out put is comparable to daylight in colour (5000 kelvin) and the rugged casing is finished in black die cast aluminium. This Flood Light features a brilliant 900 lumen output; plenty of light to make you feel secure when arriving home. This is a popular choice for use lighting home exteriors, garages, storage or retail units. Allotment plots available in Havering – Robert Rand, treasurer of the Hornchurch and District Allotment Society, said: “There are vacant allotment plots currently available at some of the sites within the London Borough of Havering. 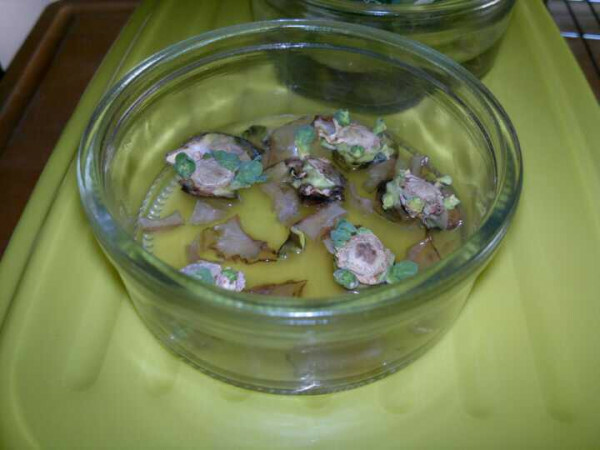 I’ve got some sprout cuttings growing in a ramekin and a cabbage stem. 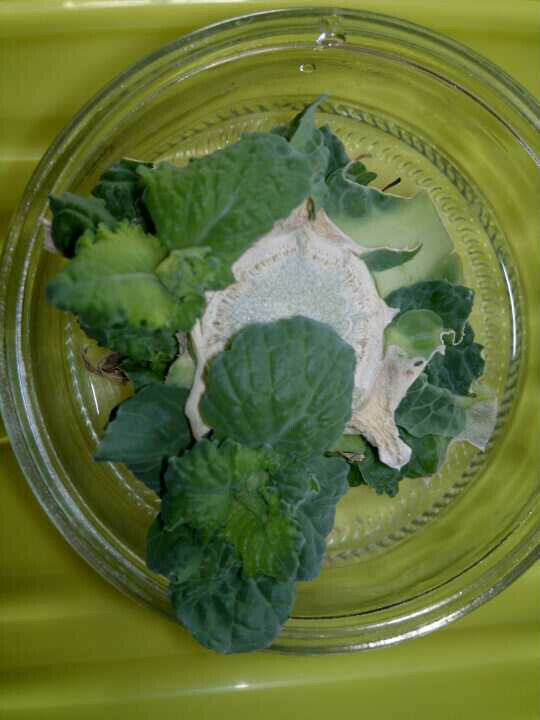 The cabbage is doing much better than the sprouts in terms of size. You can try this on other veg. Leek roots are supposed to grow – have got some in a pot in the greenhouse – will check on them soon. Potatoes are well known for growing even from little peelings – my compost bin is often full of them! Anything with a root base is probably worth a grow! Lettuces, lemongrass, spring onions, bulb Fennel, – just have a look at the veg you’re preparing and give it a try! EDIT- October clearout of greenhouse revealed this ..
It’s so pointless setting fire to an allotment shed. Man found dead in burning shed at Chandos Avenue allotments in Brunswick Park – East Finchley. BURNLEY fire crews were called to an allotment after a hut set alight. The large wooden shed at Devonshire Infant School in Smethwick was destroyed by the blaze which was started deliberately just before midnight on Saturday. After watching that last video I quite fancy a polytunnel. Although I have a greenhouse in the garden I have nothing on my allotment. A polytunnel wuold be lovely in summer to grow cucumbers and tomatoes – although I have got outdoor seeds to grow this year, a polytunnel guarantees a better crop I think. I’m restricted to an 8×6 building on my allotment plot so the first of these would be lovely! Polytunnel – Size: 6′ x 8′; Dimensions: 1.83m (6′) wide x 2.44m (8′) long; Growing Area: 4.46sq.m (48sq.ft. ); Cover: Super Clear.These sturdy polytunnels are made by the same British company that manufactures for professional growers, and will last for many years. They’re practical and economical alternative to a greenhouse and can be used to raise bumper crops of tomatoes, cucumbers, etc, as well as many other fruit and veg! With help from a friend and a few household DIY tools you can erect them in a day or less.- Hoops, corner stabilisers, foundation tubes and ridge are high tensile galvanised steel tube 25.4mm (1′) diameter. These are driven into the ground for additional fixing.- Cover is heavyweight 720 gauge (180 micron) UVI stabilised polythene, with manufacturer’s 4 year guarantee. It can be simply fitted into a trench for secure anchorage.- Anti Hot Spot Tape is included to help prolong the life of the cover, just add it to the hoops before covering to provide an insulated layer between the steel and polythene.Please allow up to 14 days for delivery.Available in three different sizes, each having a 2m (6′) high door opening, and in a choice of two cover materials:Super Clear: Specially designed for the UK, where light levels are low, it allows 95% light transmission, and also scatters light, so that crops grow more evenly.Thermal Anti Fog: With added UVa and UV B filters that dramatically reduce many fungal diseases like mildew and botrytis. An anti-fogging agent helps reduce condensation forming and dropping on plants, and an Infra-Red additive reduces heat loss, and if using a heater, can save 15-20% on fuel costs!Additionally, you may wish to purchase our:Anchor Plate & Base Rail Kit: The anchor plates are square steel plates that slot over the foundation tubes to prevent lifting/sinking of the framework, giving an easier, stronger and cheaper result than concreting. The Base Rail Kit is an alternative to burying the cover in a trench, providing a treated timber rail which the polythene is fixed to at ground level, which is easier and neater. Polytunnel – Size: 6′ x 8′; Dimensions: 1.83m (6′) wide x 2.44m (8′) long; Growing Area: 4.46sq.m (48sq.ft. ); Cover: Anti Fog.These sturdy polytunnels are made by the same British company that manufactures for professional growers, and will last for many years. They’re practical and economical alternative to a greenhouse and can be used to raise bumper crops of tomatoes, cucumbers, etc, as well as many other fruit and veg! With help from a friend and a few household DIY tools you can erect them in a day or less.- Hoops, corner stabilisers, foundation tubes and ridge are high tensile galvanised steel tube 25.4mm (1′) diameter. These are driven into the ground for additional fixing.- Cover is heavyweight 720 gauge (180 micron) UVI stabilised polythene, with manufacturer’s 4 year guarantee. It can be simply fitted into a trench for secure anchorage.- Anti Hot Spot Tape is included to help prolong the life of the cover, just add it to the hoops before covering to provide an insulated layer between the steel and polythene.Please allow up to 14 days for delivery.Available in three different sizes, each having a 2m (6′) high door opening, and in a choice of two cover materials:Super Clear: Specially designed for the UK, where light levels are low, it allows 95% light transmission, and also scatters light, so that crops grow more evenly.Thermal Anti Fog: With added UVa and UV B filters that dramatically reduce many fungal diseases like mildew and botrytis. An anti-fogging agent helps reduce condensation forming and dropping on plants, and an Infra-Red additive reduces heat loss, and if using a heater, can save 15-20% on fuel costs!Additionally, you may wish to purchase our:Anchor Plate & Base Rail Kit: The anchor plates are square steel plates that slot over the foundation tubes to prevent lifting/sinking of the framework, giving an easier, stronger and cheaper result than concreting. The Base Rail Kit is an alternative to burying the cover in a trench, providing a treated timber rail which the polythene is fixed to at ground level, which is easier and neater. 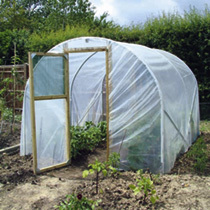 Polytunnel – Size: 8′ x 10′; Dimensions: 2.44m (8′) wide x 3.05m (10′) long; Growing Area: 7.44sq.m (80sq.ft. ); Cover: Super Clear.These sturdy polytunnels are made by the same British company that manufactures for professional growers, and will last for many years. They’re practical and economical alternative to a greenhouse and can be used to raise bumper crops of tomatoes, cucumbers, etc, as well as many other fruit and veg! With help from a friend and a few household DIY tools you can erect them in a day or less.- Hoops, corner stabilisers, foundation tubes and ridge are high tensile galvanised steel tube 25.4mm (1′) diameter. These are driven into the ground for additional fixing.- Cover is heavyweight 720 gauge (180 micron) UVI stabilised polythene, with manufacturer’s 4 year guarantee. It can be simply fitted into a trench for secure anchorage.- Anti Hot Spot Tape is included to help prolong the life of the cover, just add it to the hoops before covering to provide an insulated layer between the steel and polythene.Please allow up to 14 days for delivery.Available in three different sizes, each having a 2m (6′) high door opening, and in a choice of two cover materials:Super Clear: Specially designed for the UK, where light levels are low, it allows 95% light transmission, and also scatters light, so that crops grow more evenly.Thermal Anti Fog: With added UVa and UV B filters that dramatically reduce many fungal diseases like mildew and botrytis. An anti-fogging agent helps reduce condensation forming and dropping on plants, and an Infra-Red additive reduces heat loss, and if using a heater, can save 15-20% on fuel costs!Additionally, you may wish to purchase our:Anchor Plate & Base Rail Kit: The anchor plates are square steel plates that slot over the foundation tubes to prevent lifting/sinking of the framework, giving an easier, stronger and cheaper result than concreting. The Base Rail Kit is an alternative to burying the cover in a trench, providing a treated timber rail which the polythene is fixed to at ground level, which is easier and neater. 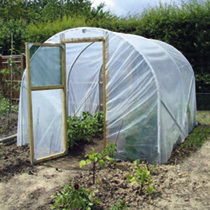 Polytunnel – Size: 8′ x 10′; Dimensions: 2.44m (8′) wide x 3.05m (10′) long; Growing Area: 7.44sq.m (80sq.ft. ); Cover: Anti Fog.These sturdy polytunnels are made by the same British company that manufactures for professional growers, and will last for many years. They’re practical and economical alternative to a greenhouse and can be used to raise bumper crops of tomatoes, cucumbers, etc, as well as many other fruit and veg! With help from a friend and a few household DIY tools you can erect them in a day or less.- Hoops, corner stabilisers, foundation tubes and ridge are high tensile galvanised steel tube 25.4mm (1′) diameter. These are driven into the ground for additional fixing.- Cover is heavyweight 720 gauge (180 micron) UVI stabilised polythene, with manufacturer’s 4 year guarantee. It can be simply fitted into a trench for secure anchorage.- Anti Hot Spot Tape is included to help prolong the life of the cover, just add it to the hoops before covering to provide an insulated layer between the steel and polythene.Please allow up to 14 days for delivery.Available in three different sizes, each having a 2m (6′) high door opening, and in a choice of two cover materials:Super Clear: Specially designed for the UK, where light levels are low, it allows 95% light transmission, and also scatters light, so that crops grow more evenly.Thermal Anti Fog: With added UVa and UV B filters that dramatically reduce many fungal diseases like mildew and botrytis. An anti-fogging agent helps reduce condensation forming and dropping on plants, and an Infra-Red additive reduces heat loss, and if using a heater, can save 15-20% on fuel costs!Additionally, you may wish to purchase our:Anchor Plate & Base Rail Kit: The anchor plates are square steel plates that slot over the foundation tubes to prevent lifting/sinking of the framework, giving an easier, stronger and cheaper result than concreting. The Base Rail Kit is an alternative to burying the cover in a trench, providing a treated timber rail which the polythene is fixed to at ground level, which is easier and neater. Polytunnel – Size: 10′ x 10′; Dimensions: 3.05m (10′) wide x 3.05m (10′) long; Growing Area: 9.30sq.m (100sq.ft. ); Cover: Super Clear.These sturdy polytunnels are made by the same British company that manufactures for professional growers, and will last for many years. They’re practical and economical alternative to a greenhouse and can be used to raise bumper crops of tomatoes, cucumbers, etc, as well as many other fruit and veg! With help from a friend and a few household DIY tools you can erect them in a day or less.- Hoops, corner stabilisers, foundation tubes and ridge are high tensile galvanised steel tube 25.4mm (1′) diameter. These are driven into the ground for additional fixing.- Cover is heavyweight 720 gauge (180 micron) UVI stabilised polythene, with manufacturer’s 4 year guarantee. It can be simply fitted into a trench for secure anchorage.- Anti Hot Spot Tape is included to help prolong the life of the cover, just add it to the hoops before covering to provide an insulated layer between the steel and polythene.Please allow up to 14 days for delivery.Available in three different sizes, each having a 2m (6′) high door opening, and in a choice of two cover materials:Super Clear: Specially designed for the UK, where light levels are low, it allows 95% light transmission, and also scatters light, so that crops grow more evenly.Thermal Anti Fog: With added UVa and UV B filters that dramatically reduce many fungal diseases like mildew and botrytis. An anti-fogging agent helps reduce condensation forming and dropping on plants, and an Infra-Red additive reduces heat loss, and if using a heater, can save 15-20% on fuel costs!Additionally, you may wish to purchase our:Anchor Plate & Base Rail Kit: The anchor plates are square steel plates that slot over the foundation tubes to prevent lifting/sinking of the framework, giving an easier, stronger and cheaper result than concreting. The Base Rail Kit is an alternative to burying the cover in a trench, providing a treated timber rail which the polythene is fixed to at ground level, which is easier and neater. Polytunnel – Size: 10′ x 10′; Dimensions: 3.05m (10′) wide x 3.05m (10′) long; Growing Area: 9.30sq.m (100sq.ft. ); Cover: Anti Fog.These sturdy polytunnels are made by the same British company that manufactures for professional growers, and will last for many years. They’re practical and economical alternative to a greenhouse and can be used to raise bumper crops of tomatoes, cucumbers, etc, as well as many other fruit and veg! With help from a friend and a few household DIY tools you can erect them in a day or less.- Hoops, corner stabilisers, foundation tubes and ridge are high tensile galvanised steel tube 25.4mm (1′) diameter. These are driven into the ground for additional fixing.- Cover is heavyweight 720 gauge (180 micron) UVI stabilised polythene, with manufacturer’s 4 year guarantee. It can be simply fitted into a trench for secure anchorage.- Anti Hot Spot Tape is included to help prolong the life of the cover, just add it to the hoops before covering to provide an insulated layer between the steel and polythene.Please allow up to 14 days for delivery.Available in three different sizes, each having a 2m (6′) high door opening, and in a choice of two cover materials:Super Clear: Specially designed for the UK, where light levels are low, it allows 95% light transmission, and also scatters light, so that crops grow more evenly.Thermal Anti Fog: With added UVa and UV B filters that dramatically reduce many fungal diseases like mildew and botrytis. An anti-fogging agent helps reduce condensation forming and dropping on plants, and an Infra-Red additive reduces heat loss, and if using a heater, can save 15-20% on fuel costs!Additionally, you may wish to purchase our:Anchor Plate & Base Rail Kit: The anchor plates are square steel plates that slot over the foundation tubes to prevent lifting/sinking of the framework, giving an easier, stronger and cheaper result than concreting. The Base Rail Kit is an alternative to burying the cover in a trench, providing a treated timber rail which the polythene is fixed to at ground level, which is easier and neater. Polytunnel, anchor plates and base rails – Size: 6′ x 8′; Dimensions: 1.83m (6′) wide x 2.44m (8′) long; Growing Area: 4.46sq.m (48sq.ft. ); Cover: Super Clear.These sturdy polytunnels are made by the same British company that manufactures for professional growers, and will last for many years. They’re practical and economical alternative to a greenhouse and can be used to raise bumper crops of tomatoes, cucumbers, etc, as well as many other fruit and veg! With help from a friend and a few household DIY tools you can erect them in a day or less.- Hoops, corner stabilisers, foundation tubes and ridge are high tensile galvanised steel tube 25.4mm (1′) diameter. These are driven into the ground for additional fixing.- Cover is heavyweight 720 gauge (180 micron) UVI stabilised polythene, with manufacturer’s 4 year guarantee. It can be simply fitted into a trench for secure anchorage.- Anti Hot Spot Tape is included to help prolong the life of the cover, just add it to the hoops before covering to provide an insulated layer between the steel and polythene.Please allow up to 14 days for delivery.Available in three different sizes, each having a 2m (6′) high door opening, and in a choice of two cover materials:Super Clear: Specially designed for the UK, where light levels are low, it allows 95% light transmission, and also scatters light, so that crops grow more evenly.Thermal Anti Fog: With added UVa and UV B filters that dramatically reduce many fungal diseases like mildew and botrytis. An anti-fogging agent helps reduce condensation forming and dropping on plants, and an Infra-Red additive reduces heat loss, and if using a heater, can save 15-20% on fuel costs!Additionally, you may wish to purchase our:Anchor Plate & Base Rail Kit: The anchor plates are square steel plates that slot over the foundation tubes to prevent lifting/sinking of the framework, giving an easier, stronger and cheaper result than concreting. The Base Rail Kit is an alternative to burying the cover in a trench, providing a treated timber rail which the polythene is fixed to at ground level, which is easier and neater. Polytunnel, anchor plates and base rails – Size: 6′ x 8′; Dimensions: 1.83m (6′) wide x 2.44m (8′) long; Growing Area: 4.46sq.m (48sq.ft. ); Cover: Anti Fog.These sturdy polytunnels are made by the same British company that manufactures for professional growers, and will last for many years. They’re practical and economical alternative to a greenhouse and can be used to raise bumper crops of tomatoes, cucumbers, etc, as well as many other fruit and veg! With help from a friend and a few household DIY tools you can erect them in a day or less.- Hoops, corner stabilisers, foundation tubes and ridge are high tensile galvanised steel tube 25.4mm (1′) diameter. These are driven into the ground for additional fixing.- Cover is heavyweight 720 gauge (180 micron) UVI stabilised polythene, with manufacturer’s 4 year guarantee. It can be simply fitted into a trench for secure anchorage.- Anti Hot Spot Tape is included to help prolong the life of the cover, just add it to the hoops before covering to provide an insulated layer between the steel and polythene.Please allow up to 14 days for delivery.Available in three different sizes, each having a 2m (6′) high door opening, and in a choice of two cover materials:Super Clear: Specially designed for the UK, where light levels are low, it allows 95% light transmission, and also scatters light, so that crops grow more evenly.Thermal Anti Fog: With added UVa and UV B filters that dramatically reduce many fungal diseases like mildew and botrytis. An anti-fogging agent helps reduce condensation forming and dropping on plants, and an Infra-Red additive reduces heat loss, and if using a heater, can save 15-20% on fuel costs!Additionally, you may wish to purchase our:Anchor Plate & Base Rail Kit: The anchor plates are square steel plates that slot over the foundation tubes to prevent lifting/sinking of the framework, giving an easier, stronger and cheaper result than concreting. The Base Rail Kit is an alternative to burying the cover in a trench, providing a treated timber rail which the polythene is fixed to at ground level, which is easier and neater. Polytunnel, anchor plates and base rails – Size: 8′ x 10′; Dimensions: 2.44m (8′) wide x 3.05m (10′) long; Growing Area: 7.44sq.m (80sq.ft. ); Cover: Super Clear.These sturdy polytunnels are made by the same British company that manufactures for professional growers, and will last for many years. They’re practical and economical alternative to a greenhouse and can be used to raise bumper crops of tomatoes, cucumbers, etc, as well as many other fruit and veg! With help from a friend and a few household DIY tools you can erect them in a day or less.- Hoops, corner stabilisers, foundation tubes and ridge are high tensile galvanised steel tube 25.4mm (1′) diameter. These are driven into the ground for additional fixing.- Cover is heavyweight 720 gauge (180 micron) UVI stabilised polythene, with manufacturer’s 4 year guarantee. It can be simply fitted into a trench for secure anchorage.- Anti Hot Spot Tape is included to help prolong the life of the cover, just add it to the hoops before covering to provide an insulated layer between the steel and polythene.Please allow up to 14 days for delivery.Available in three different sizes, each having a 2m (6′) high door opening, and in a choice of two cover materials:Super Clear: Specially designed for the UK, where light levels are low, it allows 95% light transmission, and also scatters light, so that crops grow more evenly.Thermal Anti Fog: With added UVa and UV B filters that dramatically reduce many fungal diseases like mildew and botrytis. An anti-fogging agent helps reduce condensation forming and dropping on plants, and an Infra-Red additive reduces heat loss, and if using a heater, can save 15-20% on fuel costs!Additionally, you may wish to purchase our:Anchor Plate & Base Rail Kit: The anchor plates are square steel plates that slot over the foundation tubes to prevent lifting/sinking of the framework, giving an easier, stronger and cheaper result than concreting. The Base Rail Kit is an alternative to burying the cover in a trench, providing a treated timber rail which the polythene is fixed to at ground level, which is easier and neater. Polytunnel, anchor plates and base rails – Size: 8′ x 10′; Dimensions: 2.44m (8′) wide x 3.05m (10′) long; Growing Area: 7.44sq.m (80sq.ft. ); Cover: Anti Fog.These sturdy polytunnels are made by the same British company that manufactures for professional growers, and will last for many years. They’re practical and economical alternative to a greenhouse and can be used to raise bumper crops of tomatoes, cucumbers, etc, as well as many other fruit and veg! With help from a friend and a few household DIY tools you can erect them in a day or less.- Hoops, corner stabilisers, foundation tubes and ridge are high tensile galvanised steel tube 25.4mm (1′) diameter. These are driven into the ground for additional fixing.- Cover is heavyweight 720 gauge (180 micron) UVI stabilised polythene, with manufacturer’s 4 year guarantee. It can be simply fitted into a trench for secure anchorage.- Anti Hot Spot Tape is included to help prolong the life of the cover, just add it to the hoops before covering to provide an insulated layer between the steel and polythene.Please allow up to 14 days for delivery.Available in three different sizes, each having a 2m (6′) high door opening, and in a choice of two cover materials:Super Clear: Specially designed for the UK, where light levels are low, it allows 95% light transmission, and also scatters light, so that crops grow more evenly.Thermal Anti Fog: With added UVa and UV B filters that dramatically reduce many fungal diseases like mildew and botrytis. An anti-fogging agent helps reduce condensation forming and dropping on plants, and an Infra-Red additive reduces heat loss, and if using a heater, can save 15-20% on fuel costs!Additionally, you may wish to purchase our:Anchor Plate & Base Rail Kit: The anchor plates are square steel plates that slot over the foundation tubes to prevent lifting/sinking of the framework, giving an easier, stronger and cheaper result than concreting. The Base Rail Kit is an alternative to burying the cover in a trench, providing a treated timber rail which the polythene is fixed to at ground level, which is easier and neater. Polytunnel, anchor plates and base rails – Size: 10′ x 10′; Dimensions: 3.05m (10′) wide x 3.05m (10′) long; Growing Area: 9.30sq.m (100sq.ft. ); Cover: Super Clear.These sturdy polytunnels are made by the same British company that manufactures for professional growers, and will last for many years. They’re practical and economical alternative to a greenhouse and can be used to raise bumper crops of tomatoes, cucumbers, etc, as well as many other fruit and veg! With help from a friend and a few household DIY tools you can erect them in a day or less.- Hoops, corner stabilisers, foundation tubes and ridge are high tensile galvanised steel tube 25.4mm (1′) diameter. These are driven into the ground for additional fixing.- Cover is heavyweight 720 gauge (180 micron) UVI stabilised polythene, with manufacturer’s 4 year guarantee. It can be simply fitted into a trench for secure anchorage.- Anti Hot Spot Tape is included to help prolong the life of the cover, just add it to the hoops before covering to provide an insulated layer between the steel and polythene.Please allow up to 14 days for delivery.Available in three different sizes, each having a 2m (6′) high door opening, and in a choice of two cover materials:Super Clear: Specially designed for the UK, where light levels are low, it allows 95% light transmission, and also scatters light, so that crops grow more evenly.Thermal Anti Fog: With added UVa and UV B filters that dramatically reduce many fungal diseases like mildew and botrytis. An anti-fogging agent helps reduce condensation forming and dropping on plants, and an Infra-Red additive reduces heat loss, and if using a heater, can save 15-20% on fuel costs!Additionally, you may wish to purchase our:Anchor Plate & Base Rail Kit: The anchor plates are square steel plates that slot over the foundation tubes to prevent lifting/sinking of the framework, giving an easier, stronger and cheaper result than concreting. The Base Rail Kit is an alternative to burying the cover in a trench, providing a treated timber rail which the polythene is fixed to at ground level, which is easier and neater. Polytunnel, anchor plates and base rails – Size: 10′ x 10′; Dimensions: 3.05m (10′) wide x 3.05m (10′) long; Growing Area: 9.30sq.m (100sq.ft. ); Cover: Anti Fog.These sturdy polytunnels are made by the same British company that manufactures for professional growers, and will last for many years. They’re practical and economical alternative to a greenhouse and can be used to raise bumper crops of tomatoes, cucumbers, etc, as well as many other fruit and veg! With help from a friend and a few household DIY tools you can erect them in a day or less.- Hoops, corner stabilisers, foundation tubes and ridge are high tensile galvanised steel tube 25.4mm (1′) diameter. These are driven into the ground for additional fixing.- Cover is heavyweight 720 gauge (180 micron) UVI stabilised polythene, with manufacturer’s 4 year guarantee. It can be simply fitted into a trench for secure anchorage.- Anti Hot Spot Tape is included to help prolong the life of the cover, just add it to the hoops before covering to provide an insulated layer between the steel and polythene.Please allow up to 14 days for delivery.Available in three different sizes, each having a 2m (6′) high door opening, and in a choice of two cover materials:Super Clear: Specially designed for the UK, where light levels are low, it allows 95% light transmission, and also scatters light, so that crops grow more evenly.Thermal Anti Fog: With added UVa and UV B filters that dramatically reduce many fungal diseases like mildew and botrytis. An anti-fogging agent helps reduce condensation forming and dropping on plants, and an Infra-Red additive reduces heat loss, and if using a heater, can save 15-20% on fuel costs!Additionally, you may wish to purchase our:Anchor Plate & Base Rail Kit: The anchor plates are square steel plates that slot over the foundation tubes to prevent lifting/sinking of the framework, giving an easier, stronger and cheaper result than concreting. The Base Rail Kit is an alternative to burying the cover in a trench, providing a treated timber rail which the polythene is fixed to at ground level, which is easier and neater. I have watched several videos by this bloke – his allotment has really shot up nio the last week with nettles growing like mad! Whilst it might be discouraging for some to see – it does make me think how fertile the soil is! His polytunnel is steamy hot too! He’s tried Soil Solarization with clear plastic – I think black plastic would have heated the soil up well and excluded the light! Read City Cottage free – it’s a free online magazine about self Sufficiency, keeping hens, bees, growing vegetables, fruit, cooking and making food. How to make bacon and sausages, how to bake bread and cheese. All these things in the city – You don’t need land to live the Good Life. You can meet Paul at the Edible Garden show – Stoneleigh Park from March 15th-17th 2013. – Open 9:30am – 4:30pm daily. ARSONISTS went on a wrecking spree – torching 10 allotment plots on two different sites just minutes apart. Ten sheds were set alight on two different sites in crimes branded by the victims as “sickening”. Two crews from Stranton Fire Station were called to allotments at Haswell Avenue, where six sheds and a greenhouse were completely destroyed in a blaze, around 1am yesterday.